TBILISI, DFWatch–Catholics in Rustavi, 20km south of the Georgian capital, have won a court’s backing that they were discriminated against after failing to get a construction permit to build a church there. 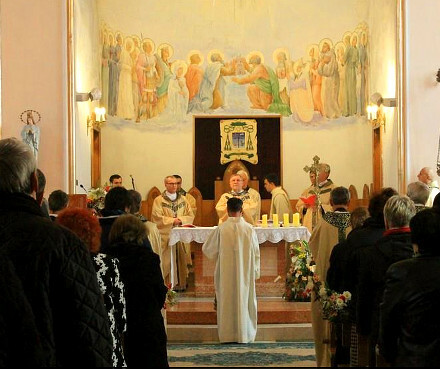 The Catholic community in Rustavi applied for permission to build the church on April 16, 2013. There is no church for them in the city, and they currently have to congregate in private homes. But the application process took longer than normal, and in 2014, they sued the city for the first time, and won. But City Hall refused to comply with the ruling, which decided that a construction permit had in effect been given due to the long bureaucratic delay. The city challenged the court, offering the Catholics to build a church at another location on the outskirts of town. This offer was rejected. After going back to court again, this time represented by the Education and Monitoring Center of Human Rights (EMC), Rustavi City Court decided in favor of the religious community. The ruling said City Hall has deliberately been dragging the process out in time and instructed it to issue a construction permit. The lawsuit was in part based on the Administrative Proceedings Code, article 23. Local followers of the Orthodox Christian Church are opposed to the Catholics getting permit to build a church. They are backed by clerics and some members of the city council.